Join The British Army Sheet Music with the tab. included, sent to me by Danial who transcribed this version. 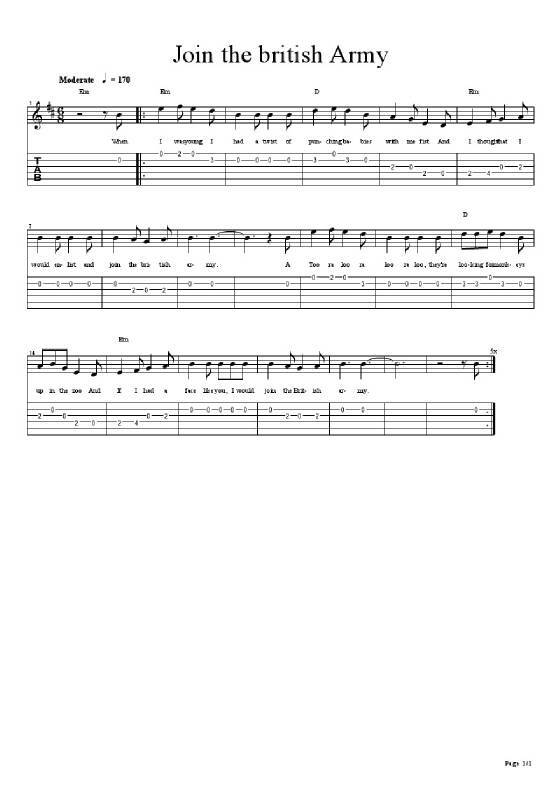 Tune written by Ewan McColl. Recorded by The Dubliners.